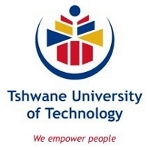 The Tshwane University of Technology (TUT) annually hosts a group exhibition of the work of graduating art students as part of its endeavour to support young and upcoming artists and to open a door for these graduates to step into the professional world of art. The exhibition, which is also a celebration of four years of hard work towards obtaining a degree, will be showcased in the very first multifunctional art gallery on the Arts Campus, 24 Du Toit Street (corner Du Toit & Struben Streets) from Saturday, 9 to Friday, 22 February. Various themes inspire and intertwine the work of the participating artists, which gives the exhibition a rich diversity. Tenille van den Berg, one of the participating artists, utilised pinhole photography as medium for her exploration of the interaction between the world of the ‘seen’ and that of the ‘unseen’. The ghostlike images and traditional graininess of pinhole photos, combined with the artist’s manipulation of negatives in the darkroom, open up possibilities for the inexplicable in her creations. Conceptually, it is what happens between life and death that interests her and she uses the feet in the photographs as metaphor for being grounded, as well as for crossing over. Sabelo Dlamini’s theme revolves around this very same concept, although he expressed it in a completely different manner. Dlamini approached this topic through a Swazi cultural perspective, using glass as his main medium to emphasise the fragility of life. The glass calabashes he made have a wealth of meaning, as calabashes are used to drink cleansing herbs in Swazi tradition. The glass is exquisitely presented with sand, wood, cotton and metal – completing this metaphor successfully. Van den Berg and Dlamini are only two of the participating artists – there are many more. The work of fourth-year Textile Design students will also be exhibited. The exhibition will open at 11:30 for noon on Saturday, 9 February and will run until Friday, 22 February. Gallery hours are from 09:00 to 15:00 on weekdays. The exhibition is curated by M Tech students Adri Rademeyer and Elizna van Niekerk and will be opened by renowned South African artist Carl Jeppe, who is also a part-time lecturer at the Department of Fine and Applied Art.